This week’s photo is one of mine, taken shortly after we installed Chloe’s Snoozer car seat in the back of my station wagon. 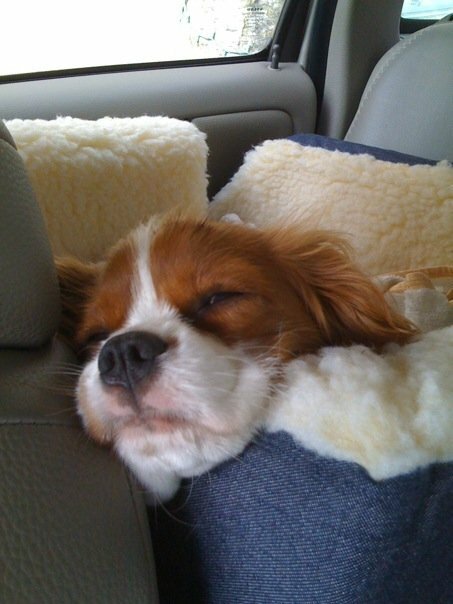 The picture says it all — the dog just loves road trips. Chole looks so adorable and comfy in her carrier! I’ll have to dig around to see if I have a nice picture of Jersey in the car. I’d LOVE that! Please do! There’ll be a Photo Friday waiting for you next Friday….